Annie Sloan Image Medium is water-based, fast drying, and builds up layers quickly. 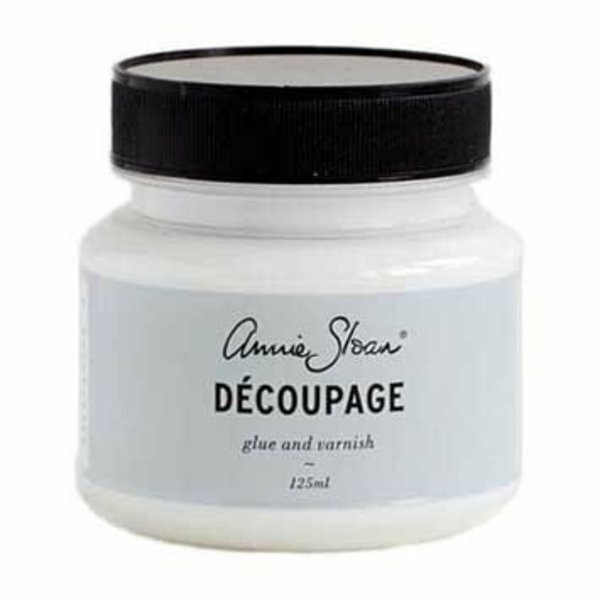 For fast and beautiful results, you can use it as an adhesive for decoupage or transfers. Easy to apply, this glue and varnish gives a beautifully smooth, matt finish.